My first farm visit took me to the ranch of Dan and Donna Tank. 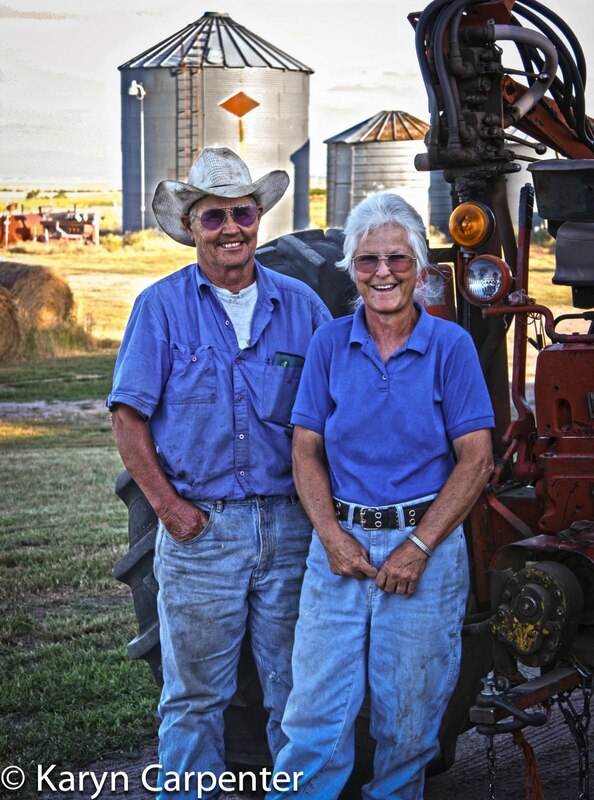 Donna was raised in the city but traded that lifestyle for one of working the land when she married Dan 43 years ago. 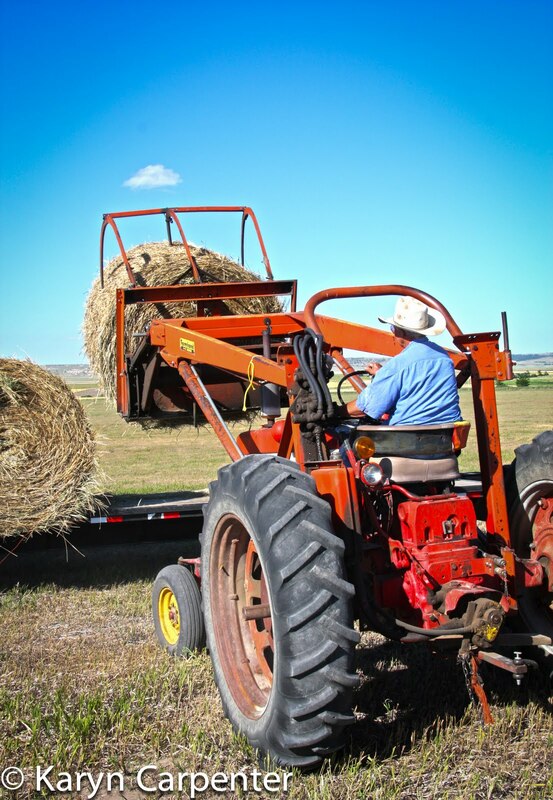 Although they made their living in more traditional jobs, evenings and weekends found them raising the crops needed to support their passion for horses. 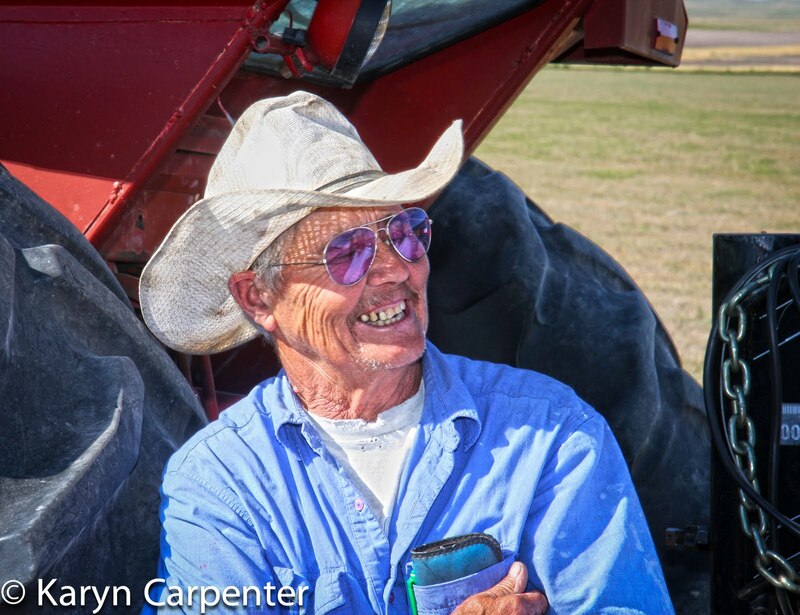 3 years ago they retired, sold their land in South Dakota and purchased 833 acres in the Nebraska panhandle. Working as a team they raise oats and put up bundles of hay for their animals and for those of friends and neighbors. The life of a 'retired' farmer is long and hard. Just completing a job can be a challenge as equipment breaks down and a day or two can be lost "chasing parts" to fix it. Dan's profession as a welder helps save them money. A lot of money. This spring when a piece of equipment broke, the replacement part cost $800. For $40 and some time, he rebuilt the damaged piece. Then there are the snakes. In Western Nebraska, it is not uncommon to find a snake bound and trapped in a giant bundle of hay. "If it is a rattlesnake and it isn't dead, I kill it," says Dan. "Rattlesnakes killed 4 of my horses so I have no problems killing that thing." It seems like a hard life. Long hours in the oppressive heat trying to keep equipment working. Then, Dan shows us his new filly. She is tiny but with beautiful structure and markings. His face lights up as he talks about her possibilities and you know there is no way he is leaving this lifestyle. With the cost of necessary farm equipment it is no wonder the family farms are dying off. Many times neighbors share use of equipment and it is still expensive.